Want to play some games ? Motorola Moto X gives you the option to play some amazing ones with its built-in graphic processing unit to give the ultimate gaming experience. Apple iPhone 6 mobile also offers the ability to have amazing gaming experience like Motorola Moto X with its built-in graphic processing unit. Apple iPhone 6 has approximately 8.6 % more number of pixels than Motorola Moto X .More number of pixels ensures the picture taken to be more sharper. Motorola Moto X has NFC. NFC stands for Near Field Communication. With NFC you can make payments using your mobile or transfer data between two mobiles just by touching them. Apple iPhone 6 is equally good as Motorola Moto X as this mobile also has NFC support. Motorola Moto X has DLNA. DLNA enables easy sharing of music, photos, and videos over wifi. Stream your videos from the phone to the TV over Wi-fi. Motorola Moto X has 100 % more RAM than Apple iPhone 6. More RAM allows us to do more things at a time.Ex- Opening multiple tabs in the Chrome browser is expected to improve. 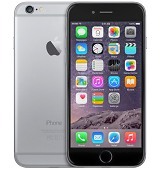 Apple iPhone 6 is equally good as Motorola Moto X in terms of internal storage capacity. Motorola Moto X has 25 % more MP rear camera than Apple iPhone 6. More MP is expected to have better image quality. Motorola Moto X has front camera. A front camera allows you to have video chat with your nears and dears. Apple iPhone 6 has front camera. A front camera allows you to have video chat with your nears and dears. Motorola Moto X has 21.5 % more battery capacity than Apple iPhone 6. More capacity simply means you can continue for long time without charging. Motorola Moto X has 130.4 % more stand-by time than Apple iPhone 6. More the stand-by time, longer you would be able to keep your phone without charging. Apple iPhone 6 has 7.7 % more talk time than Motorola Moto X . This is one of the most important parameter as its the primary function of your phone. It gives the estimate of number of hours you can talk continuously.